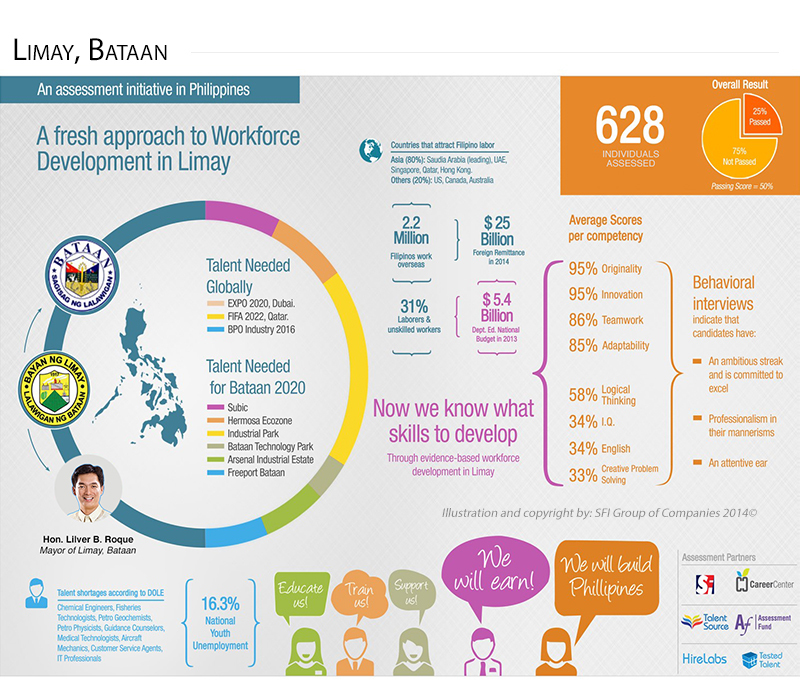 The TalentMap© program was benchmarked in the Province of Bataan, Municipality of Limay to assess the current global workplace competencies of the people. skills, abstract reasoning and sequencing and logical thinking as revealed by the test results. This shows that even though they are determined to succeed in their career, they would still need to be equipped with the necessary hard/technical skills such as English so as to meet the local and global industry requirement in terms of communication.